The Vesper cocktail recipe a drink James Bond invents in Casino Royale, named for a lost love. It’s actually not, as some believe, the traditional vodka martini Bond usually favors. This drink recipe calls for two ingredients that have been reformulated or are now unavailable, so I’ve listed substitutions. Kina Lillet is no longer made at all, so I suggest Lillet Blanc. Kina Lillet had a more bitter flavor than Lillet Blanc has, and it fell by the wayside as people gravitated more and more toward sweet cocktails and away from bitter flavors. But otherwise, the Lillet Blanc is a good match – as close as you’re going to get. It has wonderful fruity notes. 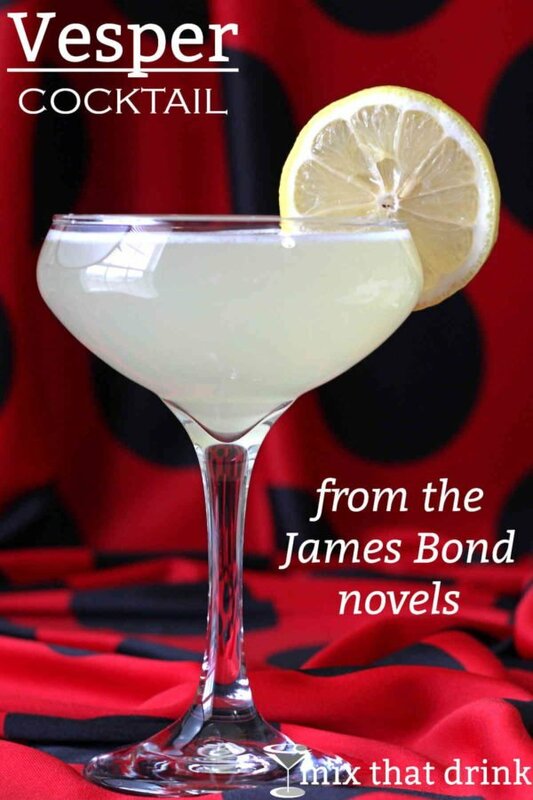 Gordon’s Gin has changed since the book was written and the recipe created, so I suggest Tanqueray #10 or Plymouth. For the vodka, you can be more flexible, but pick a good quality one. It calls for three ounces of gin, so if you don’t love gin, this may not be your drink of choice. I do love gin – I even drink it neat sometimes. For me, a cocktail like this is a great way to enjoy good gin. But if you keep the proportions of this drink as the recipe calls for them, the gin flavor is definitely very dominant. Of course, I won’t tell anybody if you want to reverse the portions on the gin and vodka (3 ounces vodka to 1 ounce gin) or try two ounces of each or whatever. It’s the Lillet Blanc that makes this drink special. If you enjoy it, you should try the Edith’s Fizz and The Prohibition. 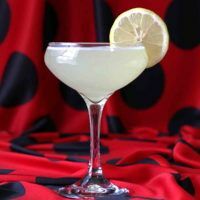 Some of the ingredients that originally made the Vesper cocktail are no longer available, so this is the classic recipe along with suggestions for substitutions. 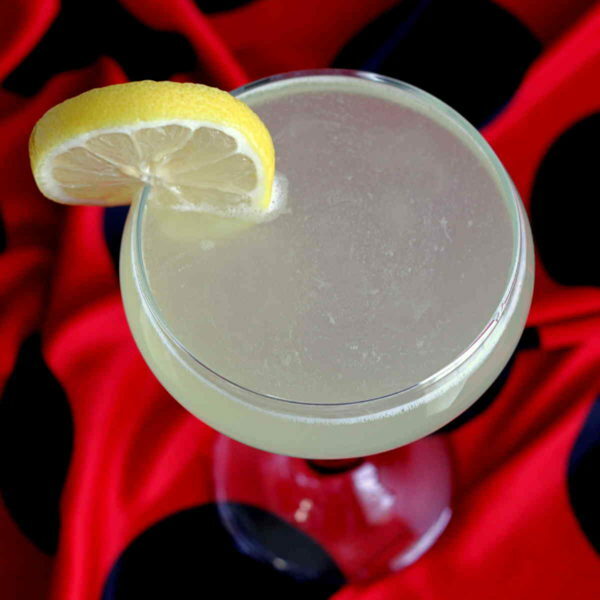 The flavor of this drink is like a martini, but with more fruity notes and sweetness. Fill a shaker with ice and pour in the ingredients. Shake until it's ice cold. Strain the mixture into a champagne saucer. Try Lillet Blanc, a modern replacement for Kina Lillet. It works wonderfully in the recipe. Excellent cocktail. I made it with Plymouth, but next time I’ll buy Tanqueray and try that.